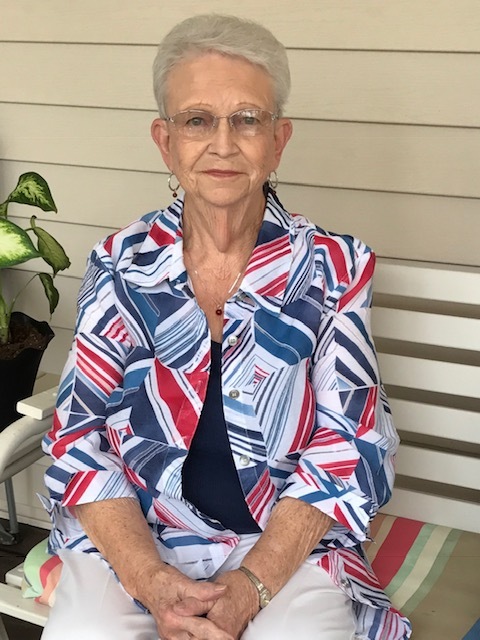 Ms. Hettie Lou Eads, age 79, of Celina, TN, passed away on Sunday, January 27, 2019, at the Cumberland River Hospital in Celina, TN. Funeral Services will be held at 1:00 p.m., Thursday, January 31, 2019, at the Upton-Hay Funeral Home. David Threet will officiate and interment will follow in the Pitcock Cemetery. Visitation with the family will be at the Upton-Hay Funeral Home on Wednesday, January 30, 2019, from 11:00 a.m. until 9:00 p.m., and Thursday, January 31, 2019, from 8:00 a.m. until the time of the service at the Upton-Hay Funeral Home. Hettie Lou is survived by her husband, John Eads of Celina, TN; 1 son, Kenny Birdwell and wife, Tammy of the Oak Grove Community of Clay County, TN and 1 step-son, Rob Eads and wife, Lori of Cookeville, TN; 1 daughter, Vonda McLerran of Celina, TN; 1 brother, Joe Sims and wife, Judy of the Oak Grove Community of Clay County, TN; 4 sisters, Betty Melton and husband, George of the Oak Grove Community of Clay County, TN, Jean Garmon and husband, Joe of Fairfield Glade, TN, Fay Hammons and husband, Buddy of Columbia, TN and Kathy Reecer and husband, Truman of Bloomington Springs, TN; 3 grandchildren, T.J. Birdwell, Mary Beth (Birdwell) Shirley and Zoie Birdwell; 2 step-granddaughters, Heather Phillips and Megan Lee; 4 great-grandchildren, Weston, Lila and Reid Birdwell and Harper Shirley; 5 step-great-grandchildren, Dakota and Dawson Phillips and Hayden, Weston and Decie Lee; nieces and nephews, Tammy Melton, Allen Melton, Nathan Hammons, Andy Reecer, Joey Sims and Adam Sims as well as a host of friends who mourn her passing.